A. O. Smith Corporation, with headquarters in Milwaukee, Wisconsin, U.S.A. is a multinational company with a brilliant history of 144 years. A. O. Smith Corporation, a New York stock exchange listed company(NYSE: AOS), achieved a global market value of over USD 10 billion in 2017, making it part of the S&P 500 Index. 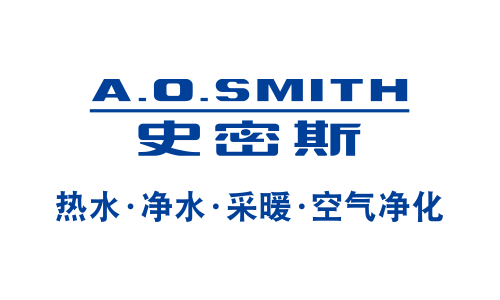 A. O. Smith (China) Water Heater Co., Ltd, wholly invested by A. O. Smith Corporation, was established in Nanjing Economic and Technological Development Zone in 1998. A.O. Smith has set up a modern management system in China with sound integration of R&D, production, sales and service. A. O. Smith products cover residential and commercial field. Residential products have 11 categories such as electric water heater, gas water heater, heat pump water heater, solar water heater, residential central water heater, combi boiler, water purifier, central water treatment product, air purifier, face washing water softener, and water heating mattress while commercial products include commercial water heater, boiler and commercial water purifier. Currently, A. O. Smith ranks the top in China water heater market with a market share of 28.6%. A. O. Smith water treatment products are also growing strongly, within less than 8 years, it has seized market share of 30.6%, ranks first in the industry. A. O. Smith air purifier products have also grown to the top three in the industry within two years. Therefore, A. O. Smith has become the role model for successful international companies in China.